12 May to 6 June You can grab your tickets here. 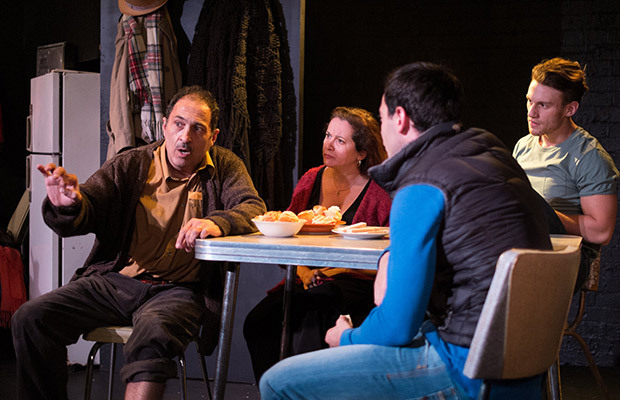 It is a devastating moment, beautifully wrought by Skuse and his actors Nicholas Papademetriou (Ramon) and Steven Multari (Javier) with the set blackened behind, make shift snow falling softly and gently around them. This one scene captures the unresolved and endless turmoil of the immigrant family destined to become an underclass in the new world upon which they pinned their hope. Skuse keeps the actions realist and simple, playing an almost naturalist adaptation – indeed were it not for the thoughtfulness of placing the cast on a raised stage, we the audience might lose many of the nuances of this work that employs such a beautiful lightness of touch. However the scene also captures the primary undercurrent of the work itself and acts as the linchpin explaining why we need to have a play written about Puerto Rican immigrants in 1983 performed on a Sydney stage in 2015, over forty years later. Our staunch middle class belief in our own ‘can-do’ is a barely questioned condition of our socio economic position of privilege, that acts more as relief from the guilt of our circumstances than formes the basis of any real accomplishment. We still use that belief to look down upon those of lower social standing as if they haven’t worked as hard or haven’t earned the things that we take for granted. In fact, as bad as the 80’s were in formulating that opinion, one could argue it has planted itself in our psyche today to such an extent that we are barely cognizant of it. Coupled with our new-found liberal attitude to allowing for ‘cultural differences,’ what we expect from ‘our immigrants’ has become a seething undercurrent of insistence on a white cultural ‘work ethic’ combined with suspicion about what the migrant might want if he does stand up for himself and work hard. The way that Skuse and Multari have worked on the character Javier indicates this slight shift in perspective. Neither tap into cringe-worthy stereotypes with this immigrant family, rather playing down the differences so that we are forced to look at ourselves in each of the roles in The house of Ramon Iglesia. Skuse brings the work forward and sublimates the performances to delicate nuances, projecting the plays ethics through the set and the technical sides, and the latin vibe through music. However, because of the already existent distance between Rivera and 2015 Sydney theatre, it is Rivera’s principles that come to the fore, highlighting the fact that he is an understated writer anyway, one whose message rides on plot and language rather than characterisation and setting. Skuse is loyal, keeping the cast appropriately ‘ethnic looking’ with spot on Puerto Rican accents, but 80’s ham and cheese is absent. All this makes for a remarkably successful transportation through time with the message of Rivera fully intact. The cast is well chosen, well directed and in good form all round. Eliose Snape uses perfect timing and a spot on Brooklyn accent (she’s also brilliantly dressed by Georgia Hopkins) to solicit real laughs from a script that gives her a beautifully written character. Snape exposes a tragic working class awareness as she realises her nationality probably had more to do with Javier’s foot on her face as he social climbs that translates to world-class wisdom as she insists on a stand for her self-respect. It’s a lovely character that Snape clearly enjoys and makes the most of. Equally Deborah Galanos is her own form of funny as the family matriarch prone to fits of emotionalism if she doesn’t get her way. She carries the weight of play’s beginnings on her shoulders, as well as much of the depiction of the traditional values, including that voluptuous Latina sexiness that age and sagging socks can’t touch. 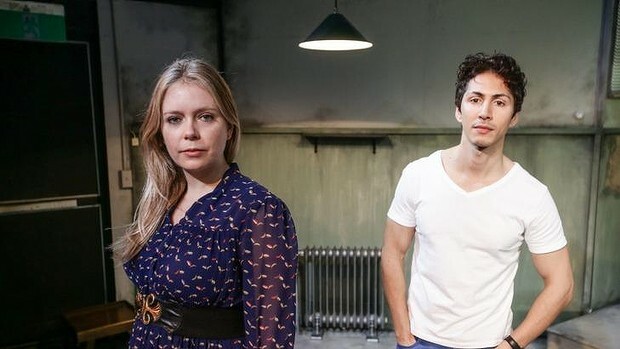 Christian Charisiou plays Julio with a light and funny touch, though he turns out to be the plays tragedy – another immigrant joining the army, another duped through ignorance into a terrible choice. Julio is a beautiful character in a play filled with rich, potent characters whose machismo turns itself against him, his most poignant scene again, with a black stage and softly falling snow. David Soncin is the third brother, Charlie teetering on the precipice of his future decisions, enamoured by his macho brother, but guided by Javier, confused, gentle and sweet in his attempts to handle the families many crises. 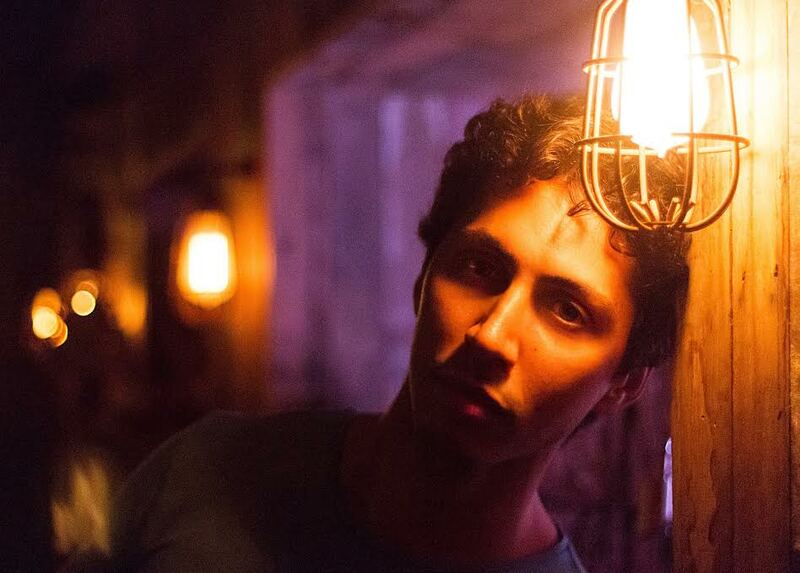 Ronny Jon Paul Mouawad rounds out the sound and successful cast. Skuse is strongly supported by a wonderful group of creatives in this production, particularly Georgia Hopkins who makes a great set that beautifully translates into multiple settings with remarkable ease. Lighting designer Chris Page and sound designer Alistair Wallace both strongly contribute to atmosphere and time and distance changes but props must be paid to Linda Nichols-Gidley who does a stand out job as the dialect coach on this great cast. 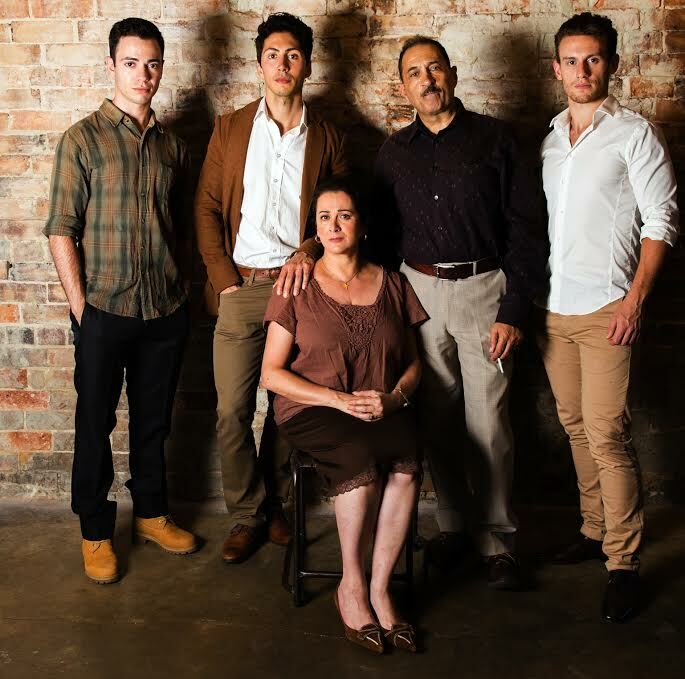 There is a lot of great theatre happening in Sydney at the moment, and The House of Ramon Iglesia is one of them. Make sure you get a chance to hop along to The Old Fitz, take your friends, grab a meal while your there and stay for the late show if you can. Its one of the best nights on offer in the May Sydney calendar. Hey Shayne Sands! Thanks for the heads up!